Depending on regions, YouTube and subsidiary content streaming services were down anywhere between 120 and 90 minutes. 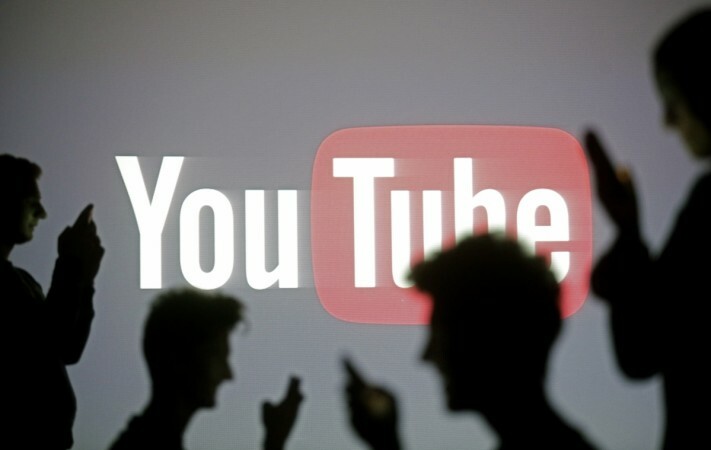 Google's video streaming service YouTube suffered broadcasting issue in the wee hours in India on 17 October and also in several other global regions. YouTube, touted be the world's second most visited website was reported down with Error 500 and depending on regions; it ranged between 120 to 90 minutes. It is the longest ever downtime for the entertainment service since its inception. It showed the message—"500 Internal Server Error Sorry, something went wrong. A team of highly trained monkeys has been dispatched to deal with this situation. If you see them, send them this information as text". For some, the screen different message--"invalid response" with a blank screen and for others, it showed 'YouTube 503 Error'. It was not just the YouTube, its affecting the subsidiary services-- YouTube Music and YouTube TV, as well. 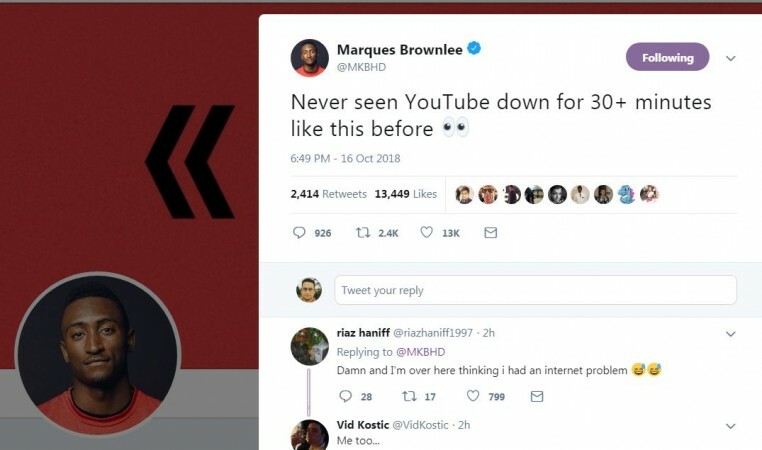 Several users took to Twitter to complain to the official 'Team YouTube' handle and they responded with a message—"Thanks for your reports about YouTube, YouTube TV and YouTube Music access issues. We're working on resolving this and will let you know once fixed. We apologize for any inconvenience this may cause and will keep you updated." Thankfully, YouTube and other services are back online. "We're back! Thanks for all of your patience. If you continue to experience issues, please let us know," Team YouTube said. As of now, YouTube is back online at least in India and several other regions of Europe and America, but some people (region unknown) are still complaining about the video streaming service down in their area. So far, YouTube has not revealed the reason for the downtime. It is a developing story. Stay tuned. Follow us @IBTimesIN_Tech on Twitter and on Google News for the latest updates on YouTube.